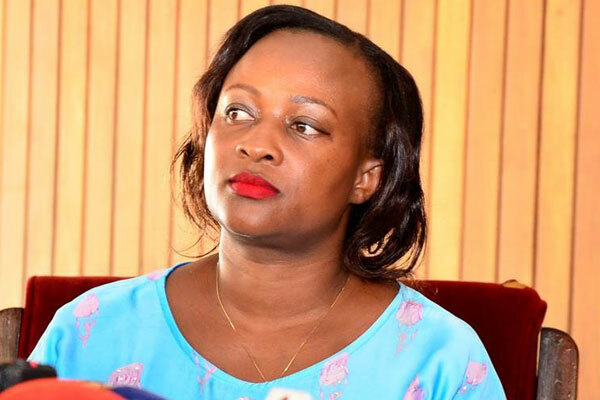 Several MPs have come out to defend the jailed YMCA Brian Isiko who is sentenced to 2 years in jail for admiring Kabarole woman member of parliament Hon Sylivia Rwabogo. MPs across political devide are have started fundraising drives to solicit money to release Isiko who is jailed by one of their own. According to Aruu County MP, the court was unfair in jailing the young boy stating that admiring a woman is normal. “I think the action of court was harsh to this young man, it is normal to admire a woman when we where growing up we even had pictures of women we admired including Celine Dione and Beyonce on our walls" Otto said. According to Otto, It is just a stage of group where a beautiful woman is always admired stating that it is not an offense. It is just a stage of growth this woman is fairly beautiful and I don’t think its an offence for her to be admired . Some MPs however said the boy acted out of order. According to Kawempe South member of parliament Hon Mubarak Munyagwa, Isiko was over ambitious to go for an MP who is far much above his level. Mariam Naigaga, a woman member of parliament representing Namutumba district said Hon Sylivia Rwabogo would have just blocked the boy instead of jailing him. We get stalkers all the time even on Facebook and we just block or ignore them, I don’t know what exactly happened between Isiko and the honorable colleague but my role as Isiko’s MP is to do all I can to rescue him from prison because the mother is really broken and affected by the developments.” Naigaga said.